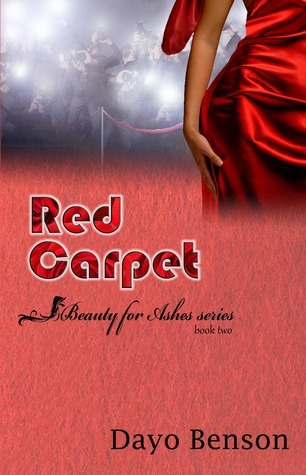 Shelby’s life isn’t glamorous, but it is predictable–and that’s the way she likes it. A survivor of her father’s violence, she has spent a lifetime creating a safe existence devoid of dependence. But her carefully managed world begins to break when, under staggering circumstances, she becomes a single mother to four-year-old Shayla. 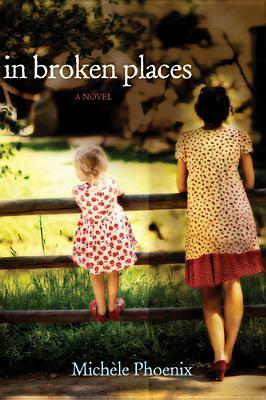 In a drastic attempt to escape her childhood’s influence, Shelby moves to Germany, but she quickly discovers how intimately linked memory and healing are–and how honestly she must scrutinize her past in order to aspire to a richer future. 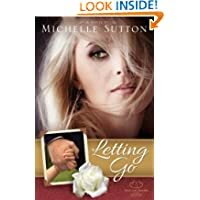 As she juggles a new job, a new culture, a new daughter, and the attention of an enterprising man, Shelby’s fresh start becomes a quest for the courage to be not only a survivor, but someone who prevails. This was a unique story and I loved the realism. As a social worker who has worked with dysfunctional families for a quarter of a century, there isn’t much I haven’t seen. There are so many adults in this world who are still a bit crippled by their past. Instead of responding to love, they run screaming in the other direction. Instead of bonding in normal, healthy relationships, they have a trauma bond with another victim who is usually a sibling. I found the book quite deep and a fantastic way to show how God uses the most unlikely situations sometimes to heal people and open them up to genuine love. The catch is we still have to let the person in and keep fear out of the equation. So we have to cling to perfect love, which casts out all fear. That said, I don’t want to post any spoilers, so I won’t give away the plot points. I will say this… I liked how the author went into the past and shared a little bit more of their childhood with each scene. The book was told from the heroine’s point of view and never strayed. The author used a lot of visceral emotion to describe feelings, which I loved. The author also did a cute job describing her heart and stomach and how they did ice skating moves in response to exciting and new emotions. I really enjoyed this book and would recommend it to anyone who is trying to understand the odd responses of people who were abused as children. This book doesn’t go into sexual abuse or gory details, but it does show the abject fear that children live with who have an angry, unpredictable parent and a passive one who doesn’t know what to do to protect the children. It’s very insightful and beautifully written. Bravo! I would definitely read other books by this author. Lexi Dixon has gone from wallowing over the raw deal that she believed was her lot in life to living her red carpet dreams. She’s opening fashion shows for top designers at fashion week, doing photo shoots at exotic locations, and enduring three hours of makeup for ten-minute public appearances. She’s the talk of Tinsel town—for both good and bad reasons. But her life is not all glitz and glamour. Between all the lies in the papers, the crazy Paparazzi that keep following her, and her own personal issues, Lexi is sure she’s going to lose it, and it’s not going to be pretty when she does! A shocking revelation about her father, a rival model who seems bent on sabotaging Lexi’s career, and a bizarre experience with a secret society cause Lexi to slow down to a pace where maybe she can look inward, and perhaps even upward! Once again I was blown away by the raw honesty in this book. The crazy thing is I listened to the entire thing (mostly while driving) and never actually read a word. But the story is so well done that I felt like I was reading it. The characters have become my friends. I hated for the story to end. The spiritual parts of the book were realistic. The conflict felt genuine and not forced. Lexi’s life is a complicated mess, and at the same time, intriguing. Lexi is a great example of someone who seems to have everything except the one thing they desire most… true love that lasts. I can’t wait to read more to find out what happens next. I’m hooked on these characters and something tells me I may shed a few tears when this series ends. Love this author and absolutely adore this series. Now I’m off to buy the final book in the series. When facing the impossible, will you believe? Storm clouds gather over a small Michigan town. As thunder shakes the sky, the lights inside St. Thomas Church flicker . . . and then go out. All is black until a thick bolt of lightning slices the sky, striking the church’s large wooden cross–leaving it ablaze and splintered in two. When the storm ends–the search for answers begins. This book was unique and what some would call a “high concept” novel. It reminded me of a novel I read a long time ago title “Eli,” and that story had a modern day Jesus type of plot. I always find those concepts fascinating to explore. This story was different in that it didn’t parallel the life of Jesus. Instead, there were some pretty amazing miracles that took place and the character Kenneth always tied them to a scripture. This novel dealt with the why questions that many people ask. The ultimate answer is God knows what He is doing, so the author didn’t try to play God in that respect, which I appreciated. When we come to the end of ourselves, then we can see God working in our lives regardless of the circumstances we find ourselves in, hence the “only believe” phrase that is a constant theme in this book. The author is a skilled writer. About 1/3 to 1/2 of the way into the story I could not pull myself away from wanting to know what happened next. And those last 100 pages… well, let’s just say I kept running my finger across my lower lid and wiping my cheek with my palm. Anyone can insert themselves into the story and think about how they would feel and what they would do. Unlike most contemporary stories, however, this felt more authentic when it came to people resisting the truth and doubting God’s existence. 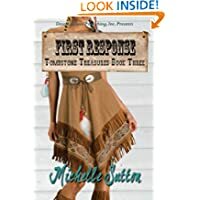 The author painted a believable scenario with well-rounded and unique characters. I think Charlie and Alex were my favorites in the story. 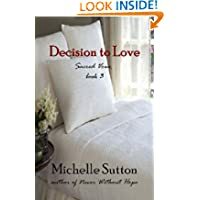 I enjoyed this book and the author’s writing and would have given it five stars but it started out a bit slow for me. Other than that it was a perfect story. There are some deep truths in there and plenty of content to make you think more about your faith. Widowed for the second time at age thirty-one Katherine Parr falls deeply for the dashing courtier Thomas Seymour and hopes at last to marry for love. However, obliged to return to court, she attracts the attentions of the ailing, egotistical, and dangerously powerful Henry VIII, who dispatches his love rival, Seymour, to the Continent. No one is in a position to refuse a royal proposal so, haunted by the fates of his previous wives—two executions, two annulments, one death in childbirth—Katherine must wed Henry and become his sixth queen. Katherine has to employ all her instincts to navigate the treachery of the court, drawing a tight circle of women around her, including her stepdaughter, Meg, traumatized by events from their past that are shrouded in secrecy, and their loyal servant Dot, who knows and sees more than she understands. With the Catholic faction on the rise once more, reformers being burned for heresy, and those close to the king vying for position, Katherine’s survival seems unlikely. Yet as she treads the razor’s edge of court intrigue, she never quite gives up on love. I have never been fond of the story behind the last of Henry VIII’s queens, but enjoyed this author’s presentation of her character quite a bit. The author’s writing style engaged me and I liked how the author used several viewpoints to give different perspectives. I really identified with Katherine Parr in this novel… more than I thought I would. Because of this, I am adding Ms. Fremantle to my list of favorite authors of Medieval fiction. I especially liked the part of the book where the queen became caught up in the Protestant Reformation and was secretly reading the works of some which ultimately made them martyrs for their faith. I loved that she wrote a book in secret herself and felt her palpable fear when she was forced to hide things lest she be accused of heresy by men out to separate her from the king. I loved how the queen even explores the idea of grace alone and faith alone and what that means compared to what the church taught prior to the Reformation. She was a woman of passion who was sometimes blinded by that same fervor, especially when it came to Thomas Seymour. What a sad tale that was. I felt sorry for her when she was chosen by King Henry to be his final wife. I felt her fear when she didn’t know if her husband would turn on her for anything she said or did. It stunk to be a woman in those days. Anyway, I read this book quickly despite its length and found myself immersed in that time period. The author did a great job pulling me into their world and I commend her for that. A good novel is a great escape, and one that makes me think about my life and feel something where I care about the characters, is a great story. This was more balanced in its perspective than some that I’ve read. I’d highly recommend trying this new author for lovers of that time period. 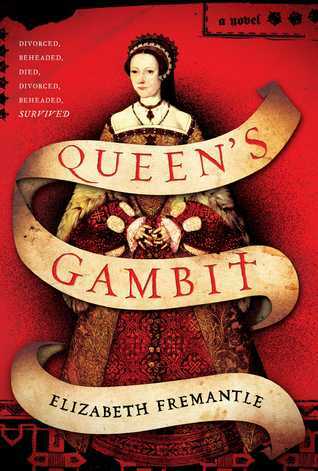 Queen’s Gambit was published by Simon & Schuster and released in August 2013. I am trying to reduce some of my stash, so state your wishes. If you choose TSW, you can win one and give one away to a friend. Enjoy! Here is a link to all of the book descriptions on my Amazon Author page if you want to read more. Piper McKenna couldn’t be more thrilled that her prodigal brother, Reef, has returned to Yancey, Alaska, after five years. But her happiness is short-lived when Reef appears at her house covered in blood. A fellow snowboarder has been killed–but despite the evidence, Reef swears he’s innocent. And Piper believes him. Deputy Landon Grainger loves the McKennas like family, but he’s also sworn to find the truth. Piper is frustrated with his need for facts over faith, but he knows those closest to you have the power to deceive you the most. With his sheriff pushing for a quick conviction, some unexpected leads complicate the investigation, and pursuing the truth may mean risking Landon’s career. With Piper waging her own search, the two head deep into Canada’s rugged backcountry–and unexpected complications. Not only does their long friendship seem to be turning into something more, but this dangerous case is becoming deadlier with each step. My favorite aspect of this novel was probably all of the snow-related themes such as the avalanches, blizzards, and snowboarding/skiing activities. What a perfect way to cool off during the summer – by escaping to the cold wilds of Alaska in your mind! I’ve always enjoy learning about new settings and this book provided plenty of new information about snowboarding and other activities to keep me interested. I also liked how it introduced a new character, Darcy, who will be the heroine in the third book. It was great to see the same characters from the first book in this second book of the series. I already knew them in the opening chapters and that helped with my overall enjoyment of the novel. I didn’t enjoy the mystery and suspense aspects of this novel as much as the first book, though. This one seemed a bit more stilted in regards to the faith element and sometimes it slowed the pacing down. Plus, there is just something about romantic conflict where the characters drive each other nuts and then constantly fight their feelings that can annoy me. This book wasn’t too bad in that respect, but it did start to feel a bit repetitious. 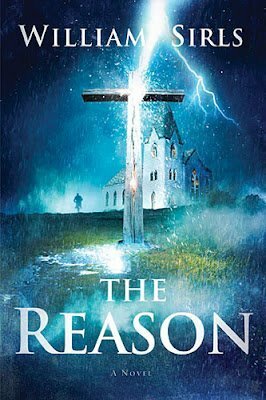 Other than the internal dialog where the hero and heroine kept fighting their feelings for each other and doubting their faith, this story was quite an adventure. There were enough twists and turns to make the reader dizzy, but I like that about this story. I had no clue where it was going. Things just kept getting more and more complicated and the further they searched, the more risky their detective work became. All in all, this was an enjoyable story. 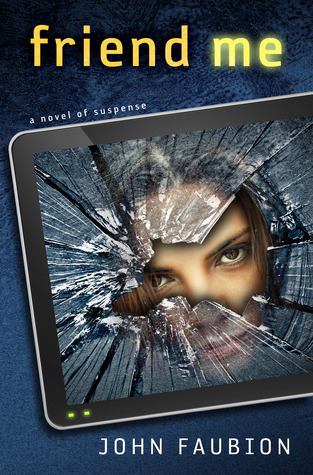 I’d recommend it for mystery/suspense lovers who like a heavy dose of interpersonal conflict. 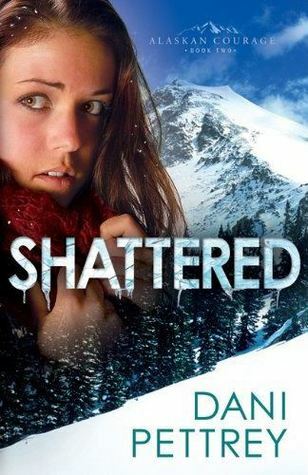 Shattered was published by Bethany House and released in February 2013. Beautiful, selfish and spoiled Kaitlyn “Issy” Summers had it all, or so everyone thought. Then, one night changed everything. Now trapped in the world that destroyed her to begin with, Issy finds herself in the arms of the one man she vowed to forget. Issy Summers spent her life hardening and numbing her heart to the world. Raised by a weak mother and controlling father, Issy learns quickly that self-preservation is essential, and manipulation is often the key. When a night of over indulgence lands her in a coma, Issy wakes to find her life completely shifted as her father forces her back into his world–a world far darker than even Issy was prepared for. The only light now is a man who has loved her for years, a man who recently found the loving grace of Christ. Letting him in will destroy the walls and armor she has worked so hard to build, but will shutting him out trap her forever in the chains that cover her? Shackled Lily is the second book in the Winsor Series, but can be read as a stand alone novel. Okay, so this is by far the best book I’ve read this year. In fact, it even beats out the previous book, and that was a hard one to top. I read this book in less than twenty four hours. It’s over 400 pages and honestly, I read most of it in one sitting. I went to church and ate dinner but the rest of the time I enjoyed reading this book. Anyway, I don’t know where to begin. The pacing was phenomenal for starters. I felt like I understood Issy completely and the more I saw her tortured emotions, the more I loved her. There is just something about a character who is afraid to love that melts my heart every time I read a novel. I felt her shackles and her despair. The moment she understood her mother’s depression from feeling trapped, I got goose bumps. Before that she was running from her feelings. It was that resignation that broke my heart. But Issy is a fighter. The cool thing about this book is that it can be read as a stand alone. While Issy stayed true to her character, you didn’t have to read the first book to get the sense that she was a mess. I love Jake, too, so I am thrilled he has his own story coming up in 2014, though I can’t imagine how the author will top this one. It was a perfect story in every way. I got tears in my eyes, my heart sped up, I got so caught up in the story that I forgot that I was reading. That’s an excellent book. I didn’t want the story to end, but the ending satisfied me. Issy changed so much through her trials, but her faith journey felt so natural that I totally believed it. I’ve read other books where the characters break down and reach for God, but nothing was as believable as this story. I cried when she called Avery so desperate for peace. It was emotional and beautiful. And she did what she thought was best for Grant, but God bless him for not giving up on her even when everything seemed hopeless. That scene where her dad’s henchmen pulled him away from her broke my heart. I could feel his desperation and pain. In some ways this book reminded me of a contemporary Titanic story. Issy was Rose and Grant was like Jack. Robbie reminded me of Cal and all of the emotions his character in the movie sparked in me came up again when I thought about how controlling Robbie was… just like “Cal” from Titanic. His power and his desire to win at all costs frightened me, so I could empathize with Issy’s terror and how shackled she felt. Billions were riding on the arrangement. The stakes were high. But love triumphs over tragedy and trials made them both stronger. I love stories like this. Again, it’s my absolute favorite book this year. I don’t know how anything will top this novel. Shackled Lily was published by CreateSpace and released in May 2013. When a vintage clothing store owner in New York City discovers a journal from 1907, she finds her destiny at stake as the past and present collide. The past has a seductive allure to Amanda Rosenbloom, especially when it comes to vintage clothing. She’s devoted to running her shop, Astor Place Vintage, but with Manhattan’s rising rents and a troubled economy, it’s tough to keep the business alive. Meanwhile, she can’t bring herself to end an affair with a man who really should be history. 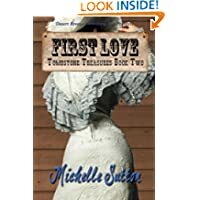 When Amanda finds a journal sewn into a fur muff she’s recently acquired for the shop, she’s happy to escape into the world of Olive Westcott, a young lady who lived in New York City one hundred years ago. As Amanda becomes immersed in the journal, she learns the future appeals to Olive. Olive looks forward to a time when repressive Victorian ideas have been replaced by more modern ways of thinking. But the financial panic of 1907 thrusts her from a stable, comfortable life into an uncertain and insecure existence. She’s resourceful and soon finds employment, but as she’s drawn into the social circle of shopgirls living on the edge of poverty, Olive is tempted to take risks that could bring her to ruin. Reading Olive’s woes, Amanda discovers a secret that could save her future and keep her from dwelling in the past. It’s Olive, however, who ends up helping Amanda, through revelations that come in the final entries of the journal. As the lives of these two women merge, Amanda is inspired to stop living in the past and take control of her future. I enjoyed this novel and how the author alternated between 1907 and 2007. The stories paralleled each other in their tragedy and triumph. The author did a good job with the setting for each as I felt like I was experiencing NYC in the past and in the recent present. The way the characters tied together was intriguing as well. I understood both of their struggles and the desire to know what happened. I found the problem with her inability to sleep well both compelling and revealing. She had good reasons to be discontented. The minor characters were well crafted, too. I found the whole situation with Olive and Joe quite compelling. I understood her weakness and confusion surrounding the whole situation. The author did a good job with that aspect of the novel. She also did a great job with showing the differences between the characters’ beliefs and the way they were raised to think. Out of necessity Olive found herself struggling to survive in a man’s world where women were sorely underpaid for similar jobs, making it difficult to manage on their own. The way the story ended was bittersweet. I think I liked it more than I disliked it. If things had been perfectly resolved it may have left the reader with a sense of disbelief, whereas I found the way it ended quite believable. I liked how the author left so many things open ended, yet with a lingering sense of happily ever after. I didn’t care for the occasional swearing by the heroine in the present day, but other than that, I enjoyed this book. 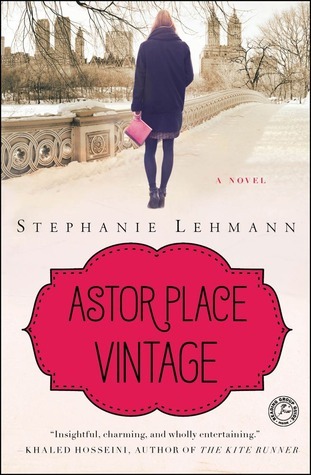 Astor Place Vintage was published by Touchstone and released in June 2013. A lonely wife and a frustrated husband create virtual online friends, trying to deal with the pressures of a marriage gone flat, and a high-pressure job. Torn between his love for his wife, and the perfection of his virtual girlfriend, he becomes unfaithful. Neither dream that behind the screen is a single real woman, masquerading both as friend and lover. She is determined to have the man for herself, so his wife must die. First, let me just say that I love the cover. It shows in a very suspenseful way how what comes out of the internet/computer can shatter your life. That was definitely true with this book. I loved how suspenseful it was and how creative the author was when he developed the story. What an imagination! But it was believably done. The writing was very good for a debut novel, too. I didn’t read anything boring that made me want to skim the pages. The author used the context of a virtual connection with a person to show how it can be dangerous, and maybe even more when they aren’t “real.” You can certainly make more excuses. Like the husband trying to convince himself that wanting to spent time with a virtual person wasn’t a threat to his marriage because the “other woman” wasn’t real. 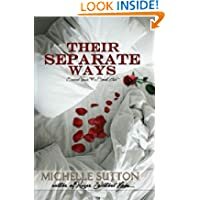 I loved how the author also showed the way women tend to interpret this kind of behavior… like “What did I do wrong?” and “Wasn’t I enough for you?” But it’s not typically about the woman’s flaws but the weakness men have that draws them away. This is quite deep for a male author. He seemed to understand the woman’s psyche quite well. Most of the time while I was enjoying the story I forgot that the author was a guy. Not that the story was in any way soft. He had me on edge a lot of the time. The author showed the rationalization and progression of what seems like an innocent activity… at first. He also showed the way sin snares all of us and pulls us deeper until the very thing we thought we wanted threatens everything about our lives that we love. How true that is. It often starts with something basic like neglecting to read the Bible and grows from there. The husband knew the scriptures and God often brought them to mind to warn him, but like most humans, he thought he could handle it. And like the enemy does so well, he convinced the husband that his sin would not hurt anyone. That’s the biggest lie of all. The scriptures say “your sin will find you out.” If you are a true believer, you can bank on that. And the ending was awesome. There were a multitude of twists and turns in the story, but the ending was like the proverbial frosting on the cake. I really enjoyed this book. It had enough gritty realism to make it believable. I loved how the hero had realistic thoughts about everything. Friend Me will officially release in paperback in February 2014 via Howard/Simon and Schuster.